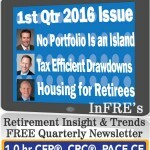 Retirement Readiness Planning > Housing for Retirees: Buy, Sell or Hold? Below is an adaptation of the live webinar delivered by Michael Falk in 2016. Michael’s comments have been edited for clarity and length. You can view a short YouTube clip of the original presentation here. 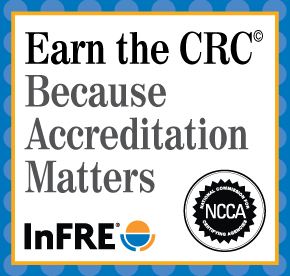 You may also choose to take the full length course, worth 1 CRC®, CFP® and/or PACE CE. What if your thoughts about this asset are just wrong? Everybody talks about the gains they make from real estate over time. Well, that’s cyclical; based upon supply and demand – population booms, not enough housing built, people moving to different desired locations. If you go back hundreds of years and track real estate, you’ll see that generally the appreciation is due to the land and not the structure, because structures depreciate or wear out over time. Historically, the average gain on the land has been around 3 percent. This makes a lot of sense when you think about supply and demand. Mother Nature isn’t making any more supply of the land, but we keep building houses. Houses are bought with leverage, and leverage has risks, upside and downside. Maybe you’ve noticed in recent years that jobs or employment are not always stable. Those in part-time employment or the “gig” economy are people who know that work is not always stable and available. If that’s the case, if you need to go where you can work, then a house is nothing more than a lasso that’s tying you down. In fact, in the Great Recession of 2008, for way too many people, housing pulled people down. It pulled the economy down. It pulled interest rates down. There is a negative side to leverage. So, let’s talk about your big asset and how to overcome today’s low rates that penalize savers and retirees. What Do We Do about This Big Asset? For a typical retiree, home equity is larger than the value of the accompanying investment portfolio. Wade Pfau has done some fantastic work in this area. I really applaud his work and what he writes. This is, when we say “the big asset,” what we’re talking about. Now, when we talk about the big liability, here’s what we’re talking about: expenses related to the home. Property taxes, utility bills, home maintenance, and upkeep can add up to be a significant portion, such as 30 percent, of the overall household budget (but not including the mortgage, according to the Center for Retirement Research at Boston College). So, it’s not only a big asset, but it’s also a big liability. We have to balance the asset and liability. Let’s start with the liability side. If you want to do retirement planning really well, stop focusing on the assets and start focusing on the liabilities. If we are talking about 30 percent more in your fixed expenses in your household budget are related to the home, these are expenses that are not choices. Fixed expenses are what I simply refer to as retiree needs. 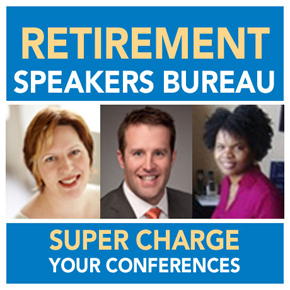 Variable expenses are mostly what a retiree wants. There’s a big difference between needs and wants for purposes of financing your retirement, and the big difference is that you can tighten your belt and skip a want, but you can’t tighten your belt and easily, if at all, skip a need. This is so critical because spending dominated by needs exposes retirees to shocks. If you think about your total spending, what percent of it is needs-based spending? What percent of it is wants-based spending? Because when we’re talking about shocks for retirees, what we’re really talking about is healthcare. We know that as people age, morbidity, injury, and illness go up, and it doesn’t go up in a predictable fashion. Injury and illness don’t happen on a schedule. That’s why we’re calling it a shock, and it can be quite expensive. It can really change the amount of your needs in a short period of time and exponentially over a long period of time. We also have to consider the low rates that we’ve experienced for several years now and the potential for low interest rates into the future also as another shock. Retirees are getting hit twice, and maybe that’s why we’re starting to consider in other ways this big asset called your house? Sell it and buy another. There is a baked-in assumption with this very simple potential approach to unlocking your asset is that when you buy another house, it’s going to be materially cheaper. If houses depreciate over time and land doesn’t, if you’re buying a newer house, then it may not be that much cheaper. And where would you live? The challenge here is that for a lot of people, this isn’t a house, this is their home. There are emotional ties to this building, and selling it is not something that a lot of people are at ease with. Sell it and hold it. A Home Equity Conversion Mortgage (HECM) is a reverse mortgage. With reverse mortgages, there are fees. Historically, this is probably the biggest complaint, that the fees are too high. They’re still not cheap, but they have come down materially, and the contracts have become more standardized and safer. This will convert a portion of your home into essentially an annuity. The bank, the issuer of the reverse mortgage, will start paying you monthly a guaranteed amount. You do not have to make repayments, so you can stay in the home for as long as you live. It’s really important if you’re married that both people will sign this, not one of the spouses versus the other, because it’s the person who signs the reverse mortgage who gets to stay in the house as long as they live. Some people are concerned because when the reverse mortgage holder passes away, is there still value with the house, or does the bank, the financial institution, just take it back? What if the retiree has a bequest motive? Is there an inheritance goal for children, grandchildren, etc., vis-à-vis the home? Some people say that if there’s a bequest goal, then a reverse mortgage is risky because there may not be a home to leave behind. If that’s the case, then you might want to consider life insurance and designate the beneficiary to be whoever you want to leave the money to. There are also limits with reverse mortgages based upon the home value to protect the financial institution. If this becomes really popular, is there potential for all of these financial institutions who offer these loans – a couple decades down the road maybe – to get a whole lot of housing back onto their balance sheet? Haven’t we seen this movie before, when banks start having a whole lot of real estate on their books? This is not a present-day worry, but it does raise some questions about potential changes to this approach down the road. Borrow from it. A HECM line of credit is almost like a debit account against your home. What’s really interesting is that if you open this thing up when you’re first eligible, and you let that line just kind of exist – you don’t use it, you don’t tap it – the line itself grows based upon a fixed interest rate. Over time, the line is going to continue to get bigger, which means your debit account is going to expand. You never have to make any payments unless you actually use a portion of it. The line could actually become greater in value than the value of the home, which means you’ve got leverage working for you, indirectly, and you can now borrow, borrow, borrow, even potentially past the value of the home. In addition, you get to stay in it as long as you’re alive. If you are getting a reverse mortgage or a HECM line of credit, you can have the option of delaying when you first take your Social Security benefits. If you delay your benefit between full retirement age and age 70, the growth in your monthly benefit from Social Security is roughly an 8 percent rate of return, guaranteed. If you can increase your Social Security benefit because you have another source of income, that means more money because of your home equity, and you can vastly reduce sequence risk. When you think about retiring, let’s take age 65 as an example. Think about the five to ten years before age 65, as well as the five to ten years after age 65. That 10-to-20 year period around your retirement date really has an impact on the quality of your retirement portfolio. This means that if you get a big bad bear market as you approach retirement or soon after you retire, it materially impacts your total retirement spending potential. If you have access to a line of credit or payments from your house, then if a bear does strike, if the market is tanking, you don’t have to take from your portfolio. Just let it sit there and wait for the markets to come back. Having income coming from your house reduces the risk of sequence of portfolio returns, reduces the sequence risk of a bull or a bear market. You can let the money continue to sit there, to come back to a better value, to compound – which is the real magic – instead of liquidating when prices are low. This is a real significant benefit. Another benefit of reverse mortgages relates to the co-pays that have come into the Medicare world, and how your level of modified adjusted gross income (MAGI) can impact how much you owe in a co-pay. If you have a higher MAGI, your co-payments are higher. If you have a lower MAGI, your co-payments are lower. It’s based on your capacity to pay. There’s a certain level of fairness to that. We could have a whole lecture on whether or not means testing Medicare is the right way, or if it’s doing things properly. But the good news is that any wealth or income that you get from your house – reverse mortgage or HECM line of credit – are not included in your MAGI. They’re non-MAGI cash payments. So, you can create more income from your home, and it won’t cost you any more in your co-pays. There are a myriad details that can come in with some of these issues. Consult with your tax and financial advisors; ask, learn, and take advantage of the potential real, positive things that can come from this. Might Your Home Un-Welcome You? As all of us age, we change. Will your home continue to welcome you? Here are five things that are significant descriptors within any home. 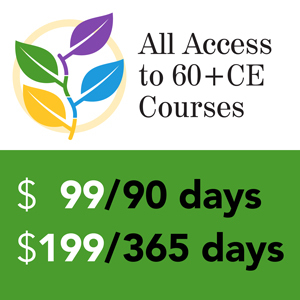 Are these welcoming to the changes that you might experience with your health and physicality? Are you going to be able to walk up or down stairs? Is the master bedroom on the second floor? You love this home, you raised a family in this home, but you can’t get to your bedroom anymore. What about the width of the doorways or the width of the halls if you are wheelchair-bound? A walker is wider than we are. Can you get down the halls and through the doorways easily? What about cabinets and countertops? Can you reach up to a cabinet to get something out? Is it safe for you to stretch that way based upon what’s going on with your health? Are the countertops too low or too high, as a result of your aging? Shower or tub? We see those wonderful commercials about those walk-in, giant tubs. There’s a reason for that. Showers become hazardous if they’re slippery. They may be awkward or difficult. Tubs can be difficult to get in and out of. What about toilets? Have you ever noticed how low your toilet is? If you have a bad back, or you have trouble with your legs or issues getting up and down, it could be a challenge. By the way, so too your home will age. What is it – about every 20 years you need to change the roof? How long is that air conditioner going to last? What about your boiler or your heater? If you retire at age 65 and you’re married, there’s a 50-50 chance that you or your spouse are going to make it comfortably into your 90s. In 30 years, all sorts of things in your house are going to need to be replaced. Why are people not talking about this and putting this into their retirement plans, since these replacements are going to be more needs than wants by then? Timing matters. If the concept here is potentially that you might move – I happen to have great appreciation for downsizing for retirees. So, sell it and buy something smaller, cheaper, and then maybe pursue a reverse mortgage or HECM line of credit. You don’t have to take one or one or one. You can combine. Assets can also be liabilities. Know the issues. Your house, which is an asset, becomes a liability at times when it needs care – a new roof, new gutters, or a new heater. Liability planning should be part of any retirement plan. 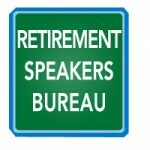 If I had my druthers, I would say no retirement plan is allowed to be done until the liability planning is done. I think it should be first and foremost. Understand that what we really want to do is immunize your needs, your spending needs. It means that we want to guarantee that we have the money to cover your spending needs. The wants? That would be fantastic, but we have to cover those needs first. The housing asset is best thought of first, not last, in the process. That’s the point. This big asset can be incredibly meaningful to the quality of your retirement. It used to be – used to be – that when all the assets were exhausted, or slightly before all the assets were spent down, and there was a need for more income, it was then that people thought about a reverse mortgage. No, folks, it’s the exact opposite. You want to start using your housing asset in your planning at the very first step. That doesn’t mean that you’re going to immediately go to a reverse mortgage or tap the home equity line of credit but you still might want to get them opened up. The housing asset can offer unique benefits. The easiest no-brainer is to wait to take your Social Security. The government is going to give you a guaranteed 8 percent return. Your money market funds are paying you virtually nothing – less than a quarter of 1 percent for a money market account – your CDs aren’t paying you much, short-term bonds aren’t paying much, but you can get 8 percent? In addition, protection from sequence risk is one of the most meaningful benefits of leveraging that housing asset in retirement. And of course you’ll have that non-MAGI income for Medicare means-testing. Your home is a lifetime of savings. Understand how you might spend some of that effort. When you think about it, your home has really just been, for the duration of your mortgage – let’s say 30 years – a forced savings program because at the end, when you own the home, you have an equity asset. This is a forced savings program. If you’re going to save for a lifetime, shouldn’t you figure out how you can start to spend that when you need it? Today’s low rates do not have to impair your retirement if you can broaden your focus on generating income. I’m not talking about reaching for yield here, the very famous and most dangerous investment technique. We’re not going out and buying a high-yield bond, and selling our short-term U.S. treasuries because they’re paying a little more yield. There are other ways. Spending down your home – because you would be spending it down – is a complex decision. It’s not insurmountable, but it is a complex decision. Before you sign any forms, make sure you know exactly what it is that you’re signing before you lock yourself into any kind of agreement or contract. Consult with your professionals, your tax professionals, your financial professionals. Make sure you understand what’s going on, because this is your home. This is, for a lot of you, the biggest asset that you have. You don’t want to make a mistake with it. 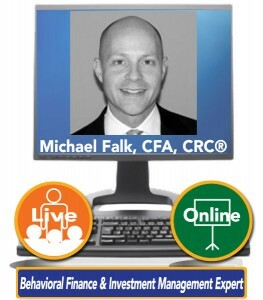 Michael Falk, CFA, CRC® is a consultant and partner with the Focus Consulting Group in Chicago, and a partner and chief strategist on a global macro hedge fund. Michael and I met in the 1990s, late 1990s, when we both served on the Profit Sharing/401k Council now known as the Plan Sponsor Council of America, on their Communication and Education Committee. At the time, he was the CIO, the Chief Investment Officer, for one of the first firms to provide managed accounts for 401k investors. In his role of CIO, he was in charge of manager due diligence and asset allocation for a multibillion dollar advisory. His background includes extensive asset allocation research and portfolio development expertise along with a multifaceted understanding of behavioral finance and retirement issues. He believes that the asset consulting perspective should acknowledge that the voice in the crowds can denigrate into madness at times, and that assets should be managed with the serenity to accept the market’s realities, the courage to pursue its opportunities, and the ongoing pursuit of wisdom to understand the difference.